For some reason, in the last few years, it has felt that the Cleveland Cavaliers would always outplay the Golden State Warriors by just a tad down the stretch of close games. 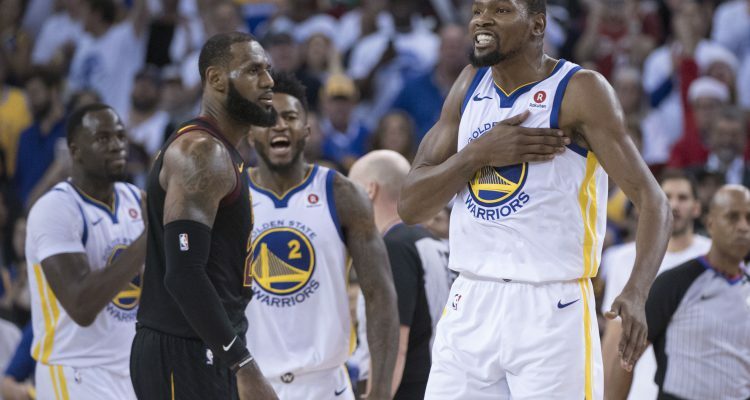 Overall, the Warriors would prove to be the better team, even in 2016, but in the moments where the games slowed, where the pace simmered to a halt, and the affairs were decided by a single possession, Kyrie Irving and LeBron James would always make that extra play. Since Kevin Durant has arrived, that small advantage, one might even say the only advantage the Cavs had over the Warriors, is now obsolete. Durant has arrived and completely made this rivalry a one-sided affair. On Christmas, it wasn’t just about the plays at the end but the Warriors defensively in the 99-92 slogfest. Steve Kerr started Jordan Bell and sat Zaza Pachulia (because of matchups he said after the game) and with that, allowed the Warriors to befuddle LeBron in the paint the entire game. James turned the ball over 7 times including several uncharacteristic ones where he left his feet but was unable to find any open passing lanes. The reason? It didn’t take the entire Warriors defense to collapse in order to stop him, rather just having one of the Big 3 frontline starters to help down was good enough. 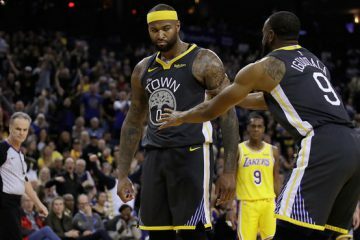 To compound the increasing difference between the two franchises, key plays were made by Patrick McCaw and Jordan Bell throughout the game, and especially in the second half. McCaw nailed a 3, got to the rim for an and-one, and was able to make an impact with a measure of confidence. And Jordan Bell perhaps made the most important play of the game when he soared in the air for a rebound after a Durant miss, got it to Draymond who flung it to Klay Thompson for 3 that put the Warriors up permanently. Their two budding star role players, the Warriors are building them in the mold of Andre Iguodala and Draymond Green. McCaw can vanish because of his mind on the court at times but when he’s on, the benefits are vast on both sides of the ball. And Jordan Bell, like Draymond Green, simply is around to make key plays no matter what is going on around him. Weakside blocks, an ability to finish in key moments, and even an isolation stop on LeBron here and there. So while the game was close, and likely won’t be come the next matchup with Stephen Curry on the floor, the larger difference is the sustainability of both team’s success. 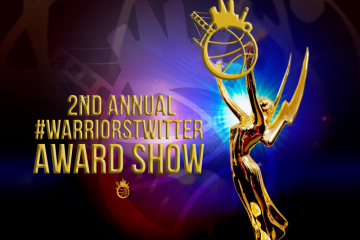 The Warriors are here for the long haul. As Draymond Green ages, the rest of the role players start to finish out their contracts, and the extensions start to kick in, the Warriors’ plan is to simply develop younger players in their ideal and watch them ball. The Cavs? They’re playing older guys off the bench too, but with nobody with staying power on the horizon. Blame it on management, on the coaching staff, on LeBron James, on everyone that has a hand in this, it doesn’t matter. The Cavs don’t have anything that will make you think they’ll be much greater than they were last June, even with Isaiah Thomas healthy he’s not better than Kyrie Irving. The Warriors? They look built for this moment, for this stretch, and with Durant, for all the close games you can imagine against LeBron James. And in this one, it was decided between the two, with Durant forcing LeBron into two straight turnovers. Was there a foul? Yeah, probably. 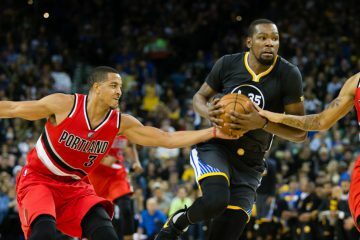 But the result is the result, and Durant certainly played and looked better than the greatest in the game. When asked why Durant guarded LeBron, he said he wanted to defend his position. On the flip side, LeBron seemed to want to guard anyone else but Durant. The Cavs’ scheme and certainly, smarter gameplan, is probably to leave him on Draymond Green and a non-shooter in order to allow him room to roam. But at the end of the day, if we’re talking crunchtime and the moments that Cavs fans and LeBron fans crave so much, their star didn’t seem to want it with Durant. There’s saying it, and then there’s doing it. The Cavs and LeBron can try to diminish Steph the way they have in the past 3 years, and yet still gear their entire defense around him every single game. Actions have speak far louder than words. 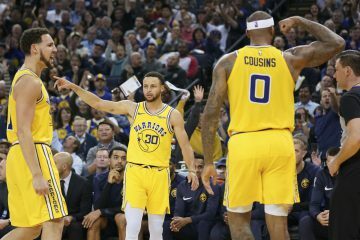 And for the Golden State Warriors and Cleveland Cavaliers, these wins are making it clearer that the chasm between the two is becoming larger and larger by the day.